Every craftsperson needs tools. Here are yours. 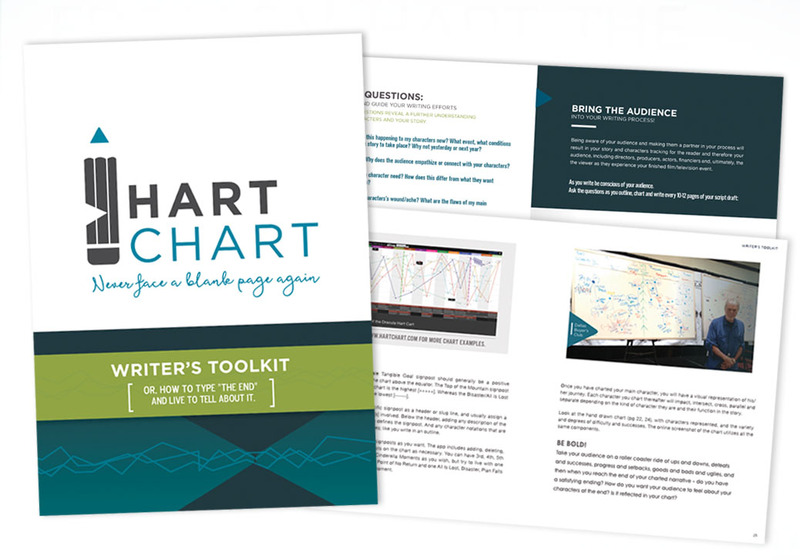 In this writer's toolkit, the HartChart story mapping tool is explained in a step-by-step guide that will get you to ‘The End’. Whether you want to compliment the app or prefer to learn using this handbook, the Writer’s Toolkit is as essential to writing successful screenplays as the keyboard (or uh, pen) you write with. You want to sell your story right? And you’re willing to do the work to get there? Then you need tools. Practical tools. Tools that will transform your understanding of your story and ensure you get the most from your characters. Whether you are a seasoned writer, this is your first foray, or maybe you’ve hit a roadblock, the HartChart Writer’s Toolkit is a proven diagnostic tool being chosen by writers worldwide as the one protocol they can rely on, time and time again, to make their work market ready. …and/or to just check the pulse of your story and make sure it’s got one. The HartChart can facilitate and accomplish all of this and more. Remember, you have a great story to tell, but you can’t type ‘The End’ until you begin.